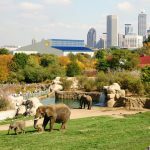 DThe Indianapolis Zoo is seeking a Director of Nutrition Services to head its Department of Nutrition Services. The charge of this department is to: 1) formulate specific diets for animals in the Zoo’s collection; 2) develop and implement diagnostic procedures to ensure that diet formulations are achieving desired results; 3) conduct science-based research that addresses institutionally mandated priorities; 4) develop and implement food safety programs; 5) manage the purchasing, storage, preparation and dispersal of animal food. The Director of Nutrition Services is responsible for the development and management of the Department of Nutrition Services within the Veterinary Science Department and reports directly to the Vice President of Veterinary Science. 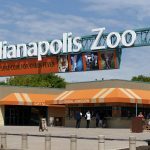 The Indianapolis Zoo has a diverse collection of over 1,800 specimens including invertebrates, fish, amphibians, reptiles, birds, terrestrial and marine mammals. The position collaboratively works with veterinary, curatorial and life sciences staff, volunteers and consultants. It is therefore imperative, that the Director of Nutrition Services has strong leadership, organizational, negotiation, teamwork, communication and motivational skills. The Director of Nutrition Services will be expected to maintain and reinforce a culture of continual improvement, while working within the constraints of a finite allocation of resources. The Director of Nutrition Services will be an active presence in the community in promoting the Zoo’s mission, and in developing and strengthening alliances with other partners and vendors. This individual must project a professional appearance and conduct with strong written and verbal communication skills for both general and academic audiences. Direct responsibility and accountability for developing, managing and implementing the nutrition program for the Zoo collection. Includes maintaining department procedures manual, monitoring diet consumption, diet formulation, and implementation. The Director of Nutrition Services monitors the animal’s response to prescribed diets by obtaining the following information from the husbandry staff: 1) Diet compliance (weight of individual feed items consumed compared to weight of feed items prescribed). 2) Body weight trends over time. 3) Comparison of those weights to the animals preferred target weight as established by the Director of Nutrition Services. Preferred target weights are established by visual or direct body score evaluations conducted by the Director of Nutrition Services or trained designate within the veterinary/nutrition department staff or husbandry staff. Nutritional profiles ordered and evaluated by the Director of Nutrition Services are also utilized to evaluate the nutritional health of the collection. Works directly with the Veterinary and Curatorial staff to formulate diets that balance nutritional objectives, with husbandry and behavioral objectives. Has direct responsibility and accountability for approving all diets. Responsible for issuing a diet prescription sheet. Participates in monthly clinical rounds with the Veterinarians, Curators and Area managers to monitor the effectiveness of prescribed diets and identify any nutritional diets. Adjusts prescribed diets as required to ensure that nutrition, health and husbandry objectives are being met. Has direct responsibility and accountability for approving all changes to diets. Responsible for issuing a revised diet prescription sheet. Review quarantine animal arrival form diet information and make recommendations for transitioning newly acquired animals to Indianapolis zoo diets. Develop diets for approved animal acquisitions; information to be included in the Husbandry Protocols. Provide current diet information to receiving institution for approved animal dispositions. Responsible for the distribution of diets, monitors current and future availability of dietary items. Responsible for developing and implementing food quality control programs. Work directly with the Collections Department in the development and implementation of the browse program, and surveillance of the grounds and enclosures for toxic plants. Initiate and collaborate with the staff veterinarians on clinical investigations as it relates to animal health and nutrition. Utilize annual pathology reports to direct efforts. Has direct responsibility for advising the Vice President of Veterinary Science on nutrition issues that require investigation. Has direct responsibility and accountability for following: Zoo Policies, Procedures and Protocols; and the Veterinary/Nutrition Department Operations Manual. Participates in approved cooperative programs (e.g. TAG, SSP) as assigned. Develops research proposals and submits them to the zoo’s research committee for review and approval. Will serve as principle investigator or collaborate with principle investigators on all nutrition research projects. Participates in the review of research proposals as required. Direct responsibility and accountability for maintaining accurate records and preparing reports as it relates to animal nutrition. Direct responsibility and accountability for conducting all commissary operations in a manner that meets or exceed AZA and USDA requirements. Remains current with pertinent regulations and standards (federal, state, industry, etc.) that may affect zoo programs, and provide recommendations for complying with relevant regulations. Must be proficient in the use of ZIMS for animal record keeping. Must maintain a valid motor vehicle operator license. The Nutritionist is directly responsible and accountable for supervising the Nutrition Department staff and handling all payroll issues according to Finance Department policies and procedures. Includes overseeing the Nutrition Department staff schedule. The Nutritionist has responsibility and accountability for completing the Halogen appraisals for the Nutrition Center Area Manager. Direct responsibility and accountability for discharging duties in a professional and courteous manner. Must work effectively as a member of the Collection Management Team, possess exceptional communication and interpersonal skills, as well as strong problem solving and decision-making skills. Participate in the following meetings. Weekly Collection Management Team meeting (CMT). Monthly veterinary and nutrition department staff meeting. Monthly veterinarian and nutritionist meeting. Conducts interviews and responsible for working with Human Resources Department to select Nutrition Department staff and volunteers. Supports the Zoo’s mission of empowering people and communities, both locally and globally, to advance animal conservation. 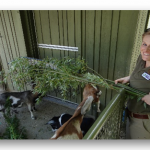 Deliver exemplary guest service in pursuit of the Zoo’s mission. Attends the annual Nutrition Advisory Group (NAG) conference or similar continuing education meeting and workshops as required. Participates in additional conferences, workshops, seminars, NAG and AZA committees as approved by the Vice President of Veterinary Science. Will be supported and encouraged to present papers at scientific meetings, publish findings in scientific journals and serve in an advisory capacity to SSP and TAG committees. 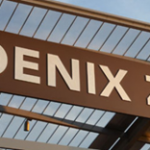 The Director of Nutrition Services will inspect the commissary and biome diet preparation areas quarterly to ensure they meet zoo and regulatory standards for cleanliness and safety. Responsible for ensuring the safety of all dietary items. Has the authority and responsibility to act immediately on issues of safety or security as it relates to animals, visitors, and staff. Responds to animal security issues immediately in accordance with the IZS Animal Escape policy as necessary. Sanitation and Forklift Certification must be maintained. Understands supports and enforces the IZS and Area lock protocol policies. Understands supports and insures that staff will follow IZS and Area PPE (Personal Protection Equipment) policies. On call 24 hours a day. Works weekends, holidays and overtime as required. Develops and implements annual business plans, including a budget. 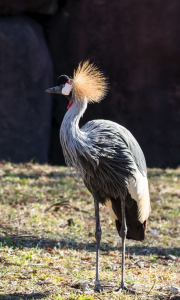 Responsible for bidding and selecting vendors for animal food purchases following the Zoo’s purchasing guidelines, including a schedule of re-bidding for all vendors. Maintains fiscal responsibility. Partners with Finance as needed. Responsible for maintaining and utilizing an inventory system for the Nutrition Center. Oversees monthly inventory with the Nutrition Center Manager. Proactively identifies trends and issues with the inventory as they arise. 9. Software and Technology Proficiency: Must be an intermediate user of Zootrition, ZIMS, Outlook, Word, Halogen staff appraisal program, ADP, Excel, Power Point and Microsoft Access (Keeper Daily Report, Proposed Animal Transactions and Animal Husbandry Protocols). Experience: At least 4 years of full-time employment as a nutritionist in a zoological setting. Prior experience in zoo animal husbandry, supervisory experience, program and budget planning preferred. Must receive 11 hours/year continuing education as required by Professional Animal Sciences. Education: Master’s in Comparative Animal Nutrition required. PhD in Comparative Animal Nutrition strongly preferred. The application deadline is February 8, 2019. 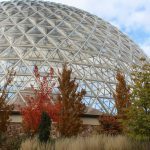 The Zoo offers a competitive benefits package after 90 days of continuous employment, including generous Paid Time Off, Paid Holidays, 403B plan, Medical, dental, vision, and life insurance after 90 days of employment. In the “position desired” section of the application, please enter “Director of Nutrition Services’. Employment is contingent upon the successful completion of a pre-employment drug test, driving record check, and criminal history check. The Indianapolis Zoo is a Drug Free/Smoke Free/Child Safe Workplace and an Equal Opportunity Employer. 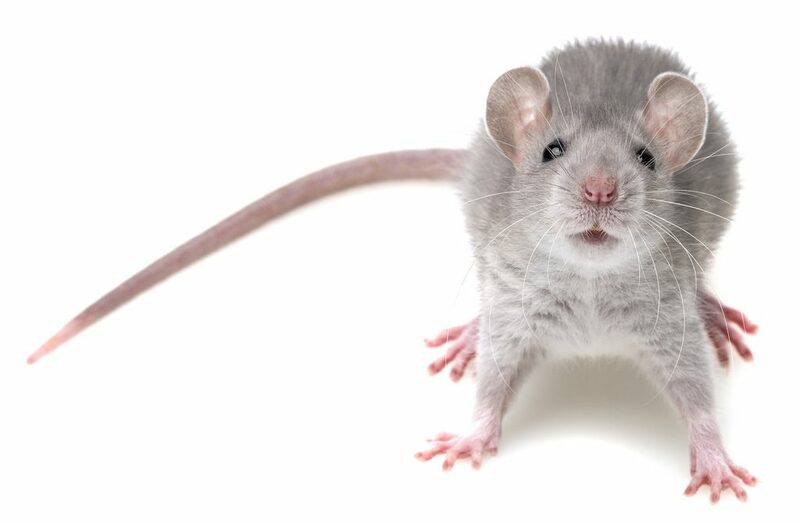 Candidate will be responsible for learning and conducting all laboratory analyses associated with related exotic animal nutrition research and diet management. Assist with sample collection during nutrition research projects. Maintain/update database of all quality control and research data, also incorporating data from third party labs. Assist Nutrition Manager with training interns/students/job shadows in lab safety and all laboratory procedures. Occasionally assist with preparation of specialized diets. Maintain inventories of lab and diet supplies. Maintain clean/uncluttered workspace to prevent cross-contamination and/or injury. Assist Nutrition Manager with diet changes and budget tracking as-needed. Occasionally assist Browse team with planting, watering, and harvesting browse for animal consumption. Detail-oriented, organized, strong communication skills (written and spoken), independently motivated. Must have a flexible schedule and willing to work weekends or holidays if necessary, although a standard schedule will be typical. Must be able to work in a team environment and willing to work alone in a laboratory setting. Basic computer skills are required, including applications in Microsoft Word, Excel, PowerPoint, and Access. The employee is regularly required to stand, walk, stoop, kneel, and crouch. Employee must regularly lift and/or move up to 50 lbs. Will be regularly exposed to water, cleaning and laboratory chemicals, loud noise, etc. 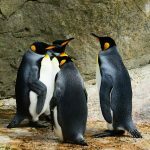 The Associate Manager of Commissary Operations will direct and participate in the daily operations of the commissary and its staff as part of a comprehensive program at Georgia Aquarium to ensure the nutritional health of the animal collection. 1. Responsible for ordering of foodstuff for animal diets, including seafood, produce, feeds, supplements, live foods, and operating supplies. 2. Coordinates diet request changes and other feeding requests from Zoological Operations and Veterinary staff. 3. Communicate with Nutritionist regarding animal diet needs and changes to crucial ordering process. 4. Research new products and equipment, negotiate prices with vendors, and solicit competitive bids in order to evaluate new or alternative products. 5. Responsible for coordinating weekly delivery of frozen product from off-site holding facility and evaluating regular inventory stocks while maintaining good inventory practices, including proper in-out stocking, expiration dating and monitoring, and overall quality control of products. 6. Responsible for coordinating, managing, and training commissary staff and volunteers. This includes performance goal setting and evaluation of staff via the performance appraisal process. 7. Responsible for maintaining working knowledge of company safety policies and implementing and developing standard operating procedures as needed. 8. Responsible for maintaining working knowledge of USDA and AZA standards and ensuring all commissary areas are in compliance. 9. Responsible for coordinating quality control sample collection, laboratory sample submission, and data entry. 10. Assists with preparing and managing annual departmental budget. 11. Interacts with staff, volunteers, guests, media and the general public on behalf of, and as an ambassador for, Georgia Aquarium Inc.
12. Performs other duties as required by the Director of Research and Conservation/Nutritionist or the Vice-President of Research and Conservation, or as workload necessitates. 1. High School diploma or GED (required). Bachelor’s Degree (preferred) in biological science, nutrition, or related field. 2. Experience in food preparation and/or warehouse logistics preferred. 3. Two years supervisory experience (minimum), preferably related to staff supervision/management, food/animal, warehouse, or purchasing industries. Equivalent combinations of education and experience sufficient to successfully perform the essential duties of the job will be considered. 4. Basic understanding of animal nutrition and feeding practices is preferred. 5. Forklift training/experience is preferred. 6. Exceptional organizational skills are essential, including effective time management and the ability to set and meet deadlines. 7. Exceptional communication skills are required, including the ability to know when it is appropriate to communicate by which method: face-to-face, telephone, email or text messaging. 8. Familiarity with the Microsoft Office suite of programs is essential. 9. An ability to work independently or as part of a coordinated team is essential, including intrinsic motivation and the ability to effectively manage multiple task streams. 10. Demonstrated professionalism, including politeness, good judgment, effective time management and punctuality, and an appreciation for diversity. 11. 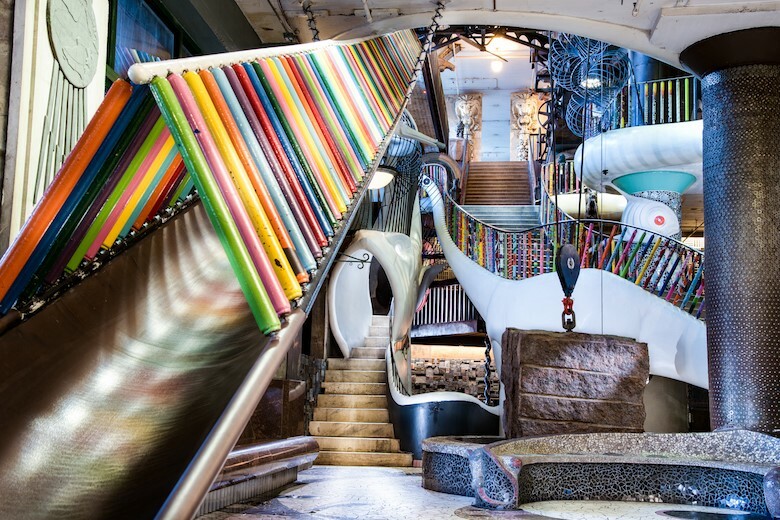 Ability to be flexible and shift priorities to meet changing institutional requirements. While performing the duties of this job, the employee is occasionally required to stand; walk; sit; use hands to finger, handle, or feel objects, tools or controls; reach with hands and arms; climb stairs; balance; stoop, kneel, crouch or crawl; talk or hear; taste or smell. The employee must occasionally lift and/or move up to 50 pounds 100 feet. Specific vision abilities required by the job include close vision, distance vision, color and peripheral vision, depth perception, and the ability to adjust focus. While performing the duties of this job, the employee is exposed to weather conditions prevalent at the time. An employee must also have the ability to travel by car, boat, and air as needed, conduct field work in the collection and research of animals, and maintain daily contact with a living collection of plants and animals. 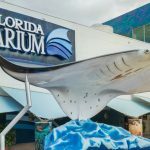 The Commissary Supervisor position is dedicated to supporting the health and welfare of the Florida Aquarium’s collection of more than 20,000 residents. The supervisor manages all aspects of daily operations, preparation of diets, purchasing and inventory management, and staff training. Additional responsibilities and opportunities exist in the researching and revision of new and existing nutritional plans, working closely both veterinary staff and the Animal Care team. 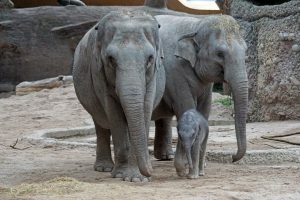 Denver Zoo is a leader in animal care, wildlife conservation, and education. We are passionate about our commitment to excellence in support of our mission to secure a better world for animals through human understanding. Denver Zoo honors our animals, staff, and guests by conducting ourselves at the highest level of integrity through our Core Actions — Inspire Awe: Safety, Care, Connect and by embracing our Core Behaviors of: Passion, Respect, Innovation, Diversity, and Excellence in all that we do. Our staff is a dedicated and diverse group of individuals committed to providing quality care to our animals while creating moments of awe for guests. 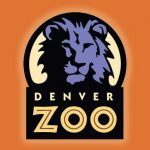 If you are a like-minded individual and thrive in a dynamic, fast paced, and innovative culture, Denver Zoo is the place for you! 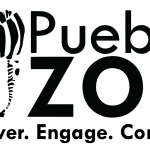 The Pueblo Zoo is looking for a consulting nutritionist. We are a small AZA accredited zoo in Pueblo Colorado.Our budget allows for 1-2 hours per month of nutritionist services at $100/hr. We are hoping to have one to two diets reviewed per month, and will also have occasional questions for the nutritionist. If interested please contact me. The Manager of Nutrition Services is responsible for the organization and operation of the Nutrition Services Department through effective management of staff, animal diets, inventory, budget, and records, and participates in all required functions within Nutrition Services, the Living Collections Department, and the greater Zoo. The manager ensures that animal diets are provided in a timely manner under high standards of quality, sanitation, safety, and cost effectiveness. Duties include recruitment, hiring, training, evaluation, and direct supervision of Nutrition Services staff. The manager will assess all animal diets and advise/direct the proper provision for nutritional needs. This individual will maintain all relevant records in compliance with government and accrediting agency standards. The manager will develop and maintain a budget to ensure proper accounting for departmental expenditures. The manager will ensure that Nutrition Services staff engage with all Zoo staff, guests, and external partners in a professional and customer service-oriented fashion. This individual will accept and fulfill all other duties as required of Arizona Center of Nature Conservation (ACNC) managers. Provide quality guest service for both internal and external customers by engaging in a friendly, helpful, positive and professional manner. Effectively interact with staff from all other Zoo departments, guests, media, government agencies, and outside professionals. Establish and maintain effective vendor relationships. Establish and maintain systems and procedures for ordering, receiving, storing, and preparing food and food supplies; maintain high standards of professional nutritional services. Collaborate in diet development and management for collection animals, and prepare nutritional assessments based on best current tools and information. Manage records to comply with government and accrediting agency standards (i.e., USDA, AZA) by establishing and maintaining accurate, current, and appropriate animal diet sheets. Prepare annual budget by forecasting changes in cost trends and establish cost efficiency measures to ensure financial goals are met. Recruit, supervise, and train Nutrition Services staff regarding all relevant duties. Ensure that requirements for appropriate sanitation and safety levels are met. Establish and maintain effective vendor relationships. Perform Animal Diet Technician duties as needed. Fulfill other duties as required of ACNC managers. Bachelor’s degree in nutrition or other life science preferred. Minimum of 2 years’ supervisory experience in animal health, human health or food service management. Ability to obtain Forage Sampling Certification, Arizona Food Handler’s Card, and pass Food Borne Pathogen Identification training within first 90 days of employment. Certified to operate a forklift or ability to become certified within first 90 days of employment. Ability to work with live insects, rodents, and other food animals required. Capable of humanely euthanizing animals per USDA and AZA standards. Excellent oral and written communication skills, and superior interpersonal skills. Ability to accurately and efficiently perform mathematical calculations relevant to nutritional services, including but not limited to: addition, subtraction, multiplication and division of all units of measure. Ability to lift a minimum of 50 pounds and carry loads for 25 yards required. Able to bend, stoop, crawl, chop food and perform other repetitive motion activities required. This is considered a safety-sensitive position requiring the ability to pass pre-employment background check, drug test, DMV check and clear annual TB test. The Animal Nutrition / Commissary Supervisor is responsible for coordinating the animal care feed and supplies management system for the Calgary Zoo with a focus on animal welfare and efficient resource use. 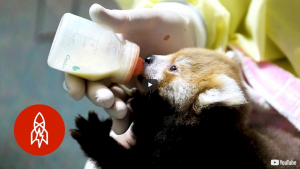 The successful candidate will manage the nutrition program in coordination with the veterinary and animal management team with a focus on welfare and the zoo’s mission and vision, and lead nutrition-related research programs to advance initiatives complementing existing conservation programs. Supervise paid and unpaid commissary workers in the day to day operations of animal feed and supply acquisition and dispersal in coordination with the Operations Manager. Lead the recruitment and training of commissary volunteer workers for diet preparation and other duties. Participate in diet preparation and dispersal with commissary workers and provide coverage for workers on days off or vacations as needed. Establish ordering routines and coordinate centralized ordering and receiving activities for animal feed and supplies. Ensure proper storage, handling, and food stock rotation to prevent unnecessary food waste and assure quality and safety of animal diets. Manage animal diets using Zootrition or other animal nutrition management software. Facilitate diet evaluation, formulation, and refinement with veterinary staff, curators, and zookeepers. Maintain high standards of cleanliness and coordinate repairs and issues with the Facilities department. Periodic educational outreach internally and externally about the zoos animal nutrition program. Opportunity to develop nutritional research focused on the zoos conservation programs. Opportunity to develop contract nutritional outreach services to other smaller zoos. Work with the Operations Manager and General Curator to plan the annual budget, and participate in monthly reviews to evaluate budget performance. Effectively control the budget and provide accurate information to the Operations Manager as required. Prepare animal welfare cases and business cases in support of significant program changes as required. Drive a continuous improvement process for sourcing feed and supplies while balancing animal welfare, environmental sustainability, and financial sustainability. Look for opportunities and make recommendations to improve and streamline procedures, processes, and documentation related to commissary function. Embrace an environment of continuous learning through proactively seeking knowledge and skills to be part of a change ready workforce. Maintain proficiency and accreditation/technical acumen requirements of your role and continue to build skills and proficiency by leveraging your development plan. Post-secondary education in Animal Nutrition or an equivalent combination of experience and education is required. Specific training or experience in Zoo Nutrition is highly desirable. Proficiency in animal nutrition management software such as Zootrition, Fauna, etc. Strong computer skills including Microsoft Office and SharePoint. Ability to supervise and direct work for both paid and unpaid workers. Demonstrated ability to work with a diverse population and foster a collaborative environment. Workweek will include one weekend day. On occasion, the Animal Nutrition / Commissary Supervisor may be required to be available for the after-hours callout, in event of an emergency. The working conditions of this role include sedentary computer work, exposure to cold temperatures (freezers, refrigerators), lifting up to 50 lbs, repetitive bending, twisting, and lifting. Flexible benefits plan, including a health spending account. Competitive vacation and flex days entitlement. Discounts on food, beverage and merchandise. A complimentary annual pass for you and your immediate family members. 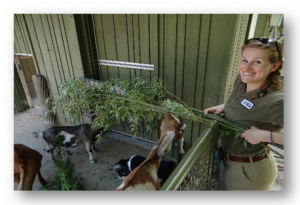 A fun work environment and the opportunity to work in a park full of wild animals! Apply online, in confidence, no later than June 25, 2018. 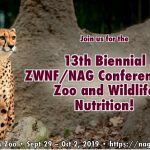 The ZWNF Education & Travel Grant supports attendance at a comparative nutrition or animal nutrition-related conference, workshop, or training program. This grant funding may be used to support travel and/or registration costs, and funding may be requested up to $500 for this purpose. Travel should be completed within 1 year of funding receipt, and a final report will be expected within 3 months of that time. 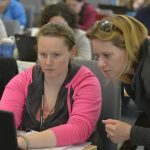 – Rationale for ZWNF support, i.e., How will this program increase knowledge/skill base in animal nutrition? How will this program support/contribute to a current or future role in animal nutrition? Proposals will be evaluated by members or designees of ZWNF and AZA NAG. Anyone related to, or who could potentially benefit from grant funding, will be excluded from the selection process. ZWNF board of directors and AZA NAG reviewers are not eligible for grant funding. Eligible proposals will be prioritized based upon those that most clearly meet the AZA NAG’s objectives and priority of funding. Submit proposals to Barbara Henry, President, ZWNF, Cincinnati Zoo and Botanical Garden, 3400 Vine Street, Cincinnati, OH 45220, or via email at Barbara.henry@cincinnatizoo.org. * Reports on projects or summaries will be viewable on the ZWNF section of the AZA NAG Website and will be included in the ZWNF annual report/updates. ZWNF must be acknowledged in all publications. A contract between the grantee and ZWNF will clearly state these requirements and use of funds. Organizations outside the US will need to provide additional documentation of tax exempt status and financial records. The ZWNF Research Grant supports basic or applied research in the area of zoo and wildlife nutrition. Grants may be funded up to $1000, and funding may be used to support research programs, including no more than $250 allocated to travel expenses. Examples of projects eligible for ZWNF Research Grant support include: animal studies evaluating nutrient intake and/or nutrient requirements, evaluation of nutrient content of dietary items, palatability work and other effects of diet/nutrition on behavior, development and/or validation of tools for nutritional assessment such as BCS methods. Examples of projects that are not eligible for ZWNF Research Grant support include: diet surveys without some component described above, studies examining animal physiology without a nutrition component. Projects should be completed within 1 year of funding receipt, and a final report will be expected within 6 months of that time*. We are pleased to announce the appointment of Sarra Gourlie to the position of SCARF Nutrition Resident at the Toronto Zoo. The Toronto Zoo was awarded the Sue Crissey Animal Nutrition Residency Fund (SCARF) Grant by the Zoo and Wildlife Nutrition Foundation (ZWNF). This fund was established in 2006 by the Chicago Zoological Society, in cooperation with the AZA Nutrition Advisory Group (NAG), to acknowledge and honor the significant impact that Sue Crissey had on the field of zoo nutrition during her 15 years of service at Brookfield Zoo. The goal of the SCARF Grant is to support residencies in nutritional studies that will improve the welfare of animals in zoos and aquariums while training the next generation of Zoo Nutritionists. To date, two residents have completed the program and Sarra will be the third. As a Nutrition Resident, Sarra will train at the Toronto Zoo to become a Zoo Nutritionist, qualified for employment in an AZA/CAZA accredited facility. Reporting to the Nutritionist, this two-year educational position will allow her to participate in and review the operations, managerial activities, diet formulations, clinical case management, meetings, courses, presentations, research, development, and training programs of the Toronto Zoo Wildlife Nutrition Centre. Sarra joined the Toronto Zoo as a Temporary Nutrition Assistant and thereafter entered the Toronto Zoo Nutrition Internship Program during which she completed research on the suitability of apple browse for large primates and obtained her Master’s degree by thesis, from the University of Guelph. More recently, she has been employed as a Research and Development assistant at the Wildlife Nutrition Centre, working on the Black-footed Ferret Recovery Program and on the Toronto Zoo Carnivore Diet Program. We look forward to Sarra continuing her relationship with the Zoo community and furthering her knowledge and skills in pursuit of joining the field as a professional Zoo Nutritionist. Congratulations Sarra! Featuring a great inter-institutional collaboration! 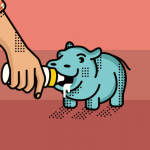 “A hippo, an orangutan, and a scientist walk into a milk bar…” or so our story goes. Click the image to take a listen. This story is also featured on CNN as a Great Big Story. Click the picture to take peak. The Smithsonian-Mason School of Conservation in Front Royal, VA is happy to announce full enrollment for the third offering of the Practical Zoo Nutrition Management course. This course is designed to provide knowledge and hands-on experience within one of the oldest zoo nutrition programs in the US. Because of the complexities and extensive experiential learning involved in the profession, this course is not designed to create a zoo nutritionist in 5 days. 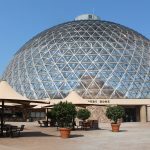 But participants will become familiar with a wide variety of topics in the field of zoo and wildlife nutrition, as well as some of the nuances of managing a commissary (food procurement and preparation) operation to support a zoo. The class is full for this offering, but stay tuned for the announcement of the next offering in 2019! • The physical demands and work environment described here are representative of those that must be met by an employee to successfully perform the essential functions of this job. Reasonable accommodations may be made to enable individuals with disabilities to perform the essential functions. While performing the duties of this job, the employee is occasionally required to stand; walk; sit; use hands to finger, handle, or feel objects, tools or controls; reach with hands and arms; climb stairs; balance; stoop, kneel, crouch or crawl; talk or hear; taste or smell. The employee must occasionally lift and/or move up to 50 pounds 100 feet. Specific vision abilities required by the job include close vision, distance vision, color and peripheral vision, depth perception, and the ability to adjust focus. While performing the duties of this job, the employee is exposed to weather conditions prevalent at the time. The noise level in the work environment is usually moderate. An employee must also have the ability to travel by car, boat, and air as needed, conduct field work in the collection and research of animals, and maintain daily contact with a living collection of plants and animals. Purina Animal Nutrition LLC (purinamills.com) is a national organization serving producers, animal owners and their families through more than 4,700 local cooperatives, independent dealers and other large retailers throughout the United States. Headquartered in Shoreview, Minn., Purina Animal Nutrition LLC is a wholly owned subsidiary of Land O’Lakes, Inc. 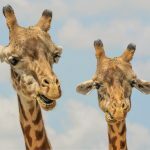 The Mazuri® Exotic Animal Business develops diets for two major market segments: Zoos, Exotic Animal Parks, and Aquariums; and the Retail Consumer Channel that services consumers who own exotic animals as part of their lifestyle. Animals include: a broad range of exotic mammals, invertebrates, birds, reptiles, amphibians, and fish. Product Set-up including formulation, developing labels, and regulatory support for both domestic & international sales. Product Specification Sheets which include diet analysis, summarization, and creation of the specification sheets. Product development and improvement of products manufactured at Purina® ‘s Specialty manufacturing plant. Masters or PhD in Nutrition. Preference will be given to candidates with experience with exotic animals. Strong technical skills and understanding of animal nutrition. Strong interpersonal, communication, public speaking and technical writing skills. Must be capable of providing scientific and research data, regarding nutrition and animal management, in sales environments. Must be able to inspire confidence in product performance with creativity and conviction in product-line knowledge. Demonstrated ability to develop and leverage collaborative relationships. Ability to effectively work as a part of a team and possess excellent team building skills. Excellent problem solving skills. Strong communication, planning & organizational skills. Strong computer skills to support critical software tools that support product sales. Experience and understanding in one or more of the species within the exotic animal industry and the versatility to be able to work well with multiple segments of the industry. Previous feed business experience in technical sales and marketing support. Provide nutrition and management expertise to exotic animal customers and consumers. 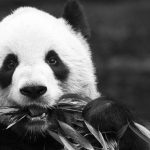 Create value by conducting research to develop unique specie specific diets for a broad range of exotic animals, worldwide. Work with manufacturing plants to develop product specifications, formulate diets, establish quality standards and respond to all internal inquiries. Work with Quality Assurance to resolve complaints. Work with the Exotic Animal business team to respond to all external inquiries from sales, retailers, customers or consumers. Provide technical expertise and assist with communication within the Mazuri business and within the Purina/Land O’Lakes organization. Assist with the creation of sales training materials. Assist with attaining new business by providing technical expertise and knowledge during sales calls and visits with customers. Work with sales personnel to find ways of providing value and company differentiation with each customer. Support customer activities at the Purina Animal Nutrition Center and at field events/meetings/conferences by participating and/or speaking at the events. Maintain visibility within the industry by participating or speaking at conferences, trade shows, and by preparing articles for industry publications. PhD in Nutrition (monogastric or ruminant), or related field with an emphasis on exotic animal nutrition, 3+ years of experience. Preference will be given to candidates with experience with exotic animals. Travel is required in this position. The amount of travel will be dependent on the customer base served and amount of direct customer contact required. Position will average 25 – 40% travel. Strong technical skills and understanding of animal nutrition in one or more of the species identified and their respective animal industry. Strong interpersonal and communication, public speaking and technical writing skills. 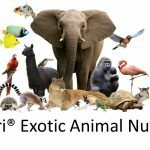 The Mazuri® Exotic Animal Business develops diets for two major market segments: Zoos, Exotic Animal Parks, and Aquariums; and the Retail Consumer Channel that services consumers who own exotic animals as part of their lifestyle in the US and internationally. Animals include: a broad range of exotic mammals, invertebrates, birds, reptiles, amphibians, and fish. Howdy, Folks! Welcome to Texas! 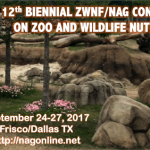 Come explore the wild and wooly world of zoo nutrition in Frisco, TX, hosted by the Dallas Zoo. 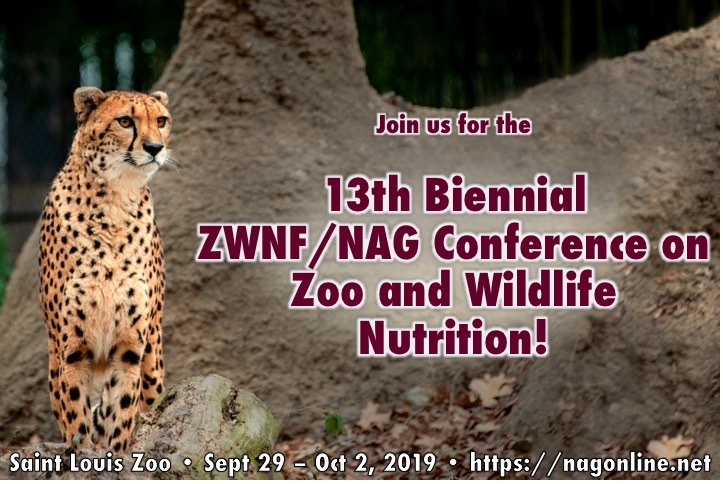 Join us and the American Association of Zoo Veterinarians to hear all the latest advances in the field of zoo and wildlife nutrition. Frisco, TX is 25 miles north of Dallas/Ft. 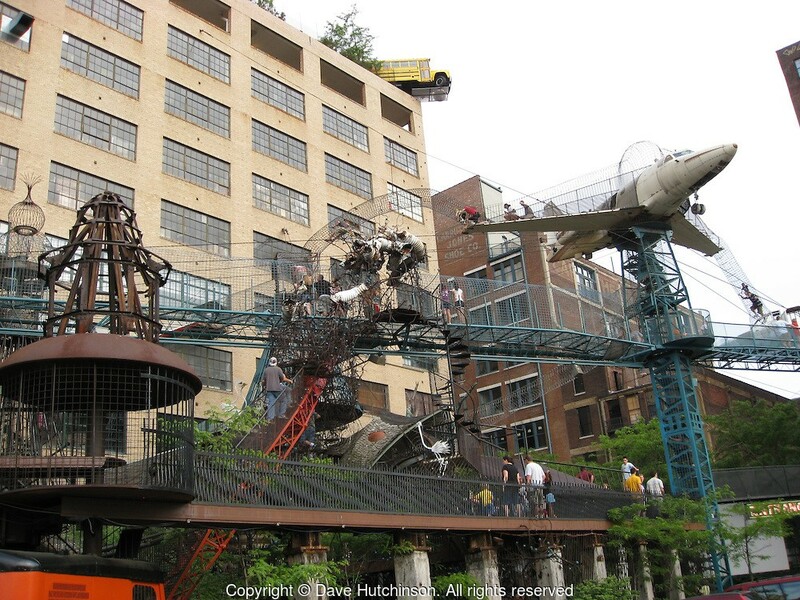 Worth, and is home to the National Railroad Museum and a slew of stadiums for all you sports fans, and don’t miss the National Videogame Museum(!). 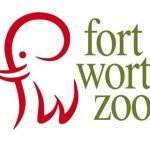 Even better yet, take in the lovely Ft. Worth and Dallas Zoos just a few miles away. Book hotel Submit your paper Register! Workshop: “Produce Classification: Revolutionary Considerations for Improving Zoo Animal Diet Formulation” 9 am- 4 pm. Commercially-available fruits rarely mimic fruits consumed by free-ranging wildlife. What are the implications for diet formulation and produce selection for optimal health of the animals in our collections? This workshop aims to tackle these questions through presentation and discussion, with the goal of producing consensus recommendations for how to standardize produce classification for zoo nutrition diet formulation. The program will begin with invited speaker Erin Vogel, Ph.D, who will discuss her work on food acquisition and diet selection in non-human primates, with an emphasis on the nutrient composition of free-ranging fruits and overall diet in those species. A series of talks will follow Dr. Vogel’s presentation on the classification systems of produce currently in use by various institutions. After a break for lunch (12-2pm, on your own), the afternoon session consists of a discussion and breakout into working groups to assemble/organize data providing categories/charts that can be adapted for use at your home institution. 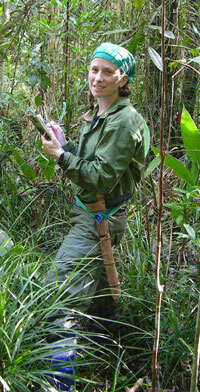 Erin Vogel, Ph.D., is an associate professor at Rutgers University. She is a primate dietary ecologist with a primary interest in factors that affect food acquisition and diet selection in non-human primates. In particular, she studies how primates have adapted to maximize energy intake in the face of variable environments by examining the behavior, morphology, and physiology within an ecological context. 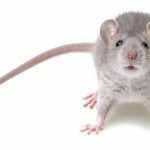 A paid internship in the area of exotic animal nutrition, including clinical, operational, and research aspects, is available to undergraduate students (Junior or Senior), recent college graduates (in the last 12 months), or current graduate students having a specific interest in exotic animal nutrition. The internship is available from May through August, 2017; full-time availability is preferred, though part-time may be considered. Candidates must be enrolled in or have a degree in animal science, biology, nutrition, wildlife science, or a related field and ideally have completed an introductory animal nutrition class. The intern may obtain University credit for completed projects if agreed upon by the candidate and Nutritionist prior to the initiation of the internship. Every effort will be made to accommodate the student’s school schedule in arranging starting and ending dates, and number of hours worked per week. 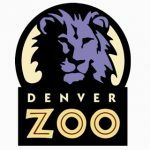 To apply, please send the following materials to Dr. Jennifer Parsons at jparsons@denverzoo.org: 1) a resume, 2) an unofficial transcript, and 3) a cover letter which includes the following information: dates of availability, interests, and a description of how this position applies to your career goals. Deadline for receipt of application materials is end-of-day on March 20, 2017. Ensure provision of daily diets for the collection animals at Dallas Zoo and Children’s Aquarium. Plan, direct and participate in receiving, preparing and delivering food to all animal areas. Ensure food is handled in a safe manner. Procure (or supervise procurement) of food items following established purchasing practices. Ensure proper receipt and storage for all items. Maintain inventory of all items. Maintain purchasing records, summarize monthly usage. Manage department budget within given scope of control. Supervise personnel, including volunteers, for all areas of responsibility and professional conduct. Participate in the selection, hiring, and evaluation of staff and ensure appropriate forms are completed in a timely manner. Participate in the development and implementation of goals, objectives, policies and priorities for both the department and staff. Ensure quality customer service to internal and external customers. Ensure cleanliness and upkeep of Animal Nutrition Center and surrounding area, maintain vehicles and equipment in good condition. Submit and follow up on work orders. Ensure appropriate daily staffing coverage for Nutrition Keepers. Must have at least three years of food preparation, warehousing or animal care experience; one year supervisory experience preferred. Must have a high school diploma or GED. Bachelor’s degree in biological, nutrition or culinary field preferred, or equivalent combination of training and experience. Knowledge of MS Word/Excel or similar programs essential. Must be flexible, self-motivated and a team player. Must be able to establish and maintain an effective rapport with all levels of management, employees and zoo guests. Must have good observational skills. Must be able to walk, stand, sit, kneel, stoop, crawl, twist, reach above head, pull bend, climb stairs and ladders and carry 50lbs, sometimes up to 75lbs. Must be able to work holidays and weekends. Must be able to actively work in inclement weather. Must have a valid Texas driver’s license and reliable transportation. 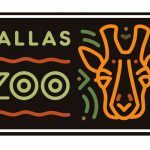 Join the Dallas Zoo Management, Inc. community to experience a unique, challenging and rewarding career. If you are interested, please email your resume and cover letter to zoojobs@dallaszoo.com. All applicants MUST place job code NSUPV in the subject line to be considered.